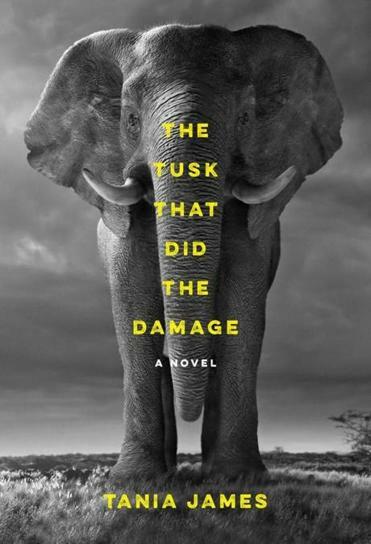 To judge from Tania James’s new novel, “The Tusk That Did the Damage,” this last bit of news has apparently not reached hunters in South India, whose grim mission is betrayed by the bullet pouch sagging from their pockets. Where Kolbert’s unflinching report reads like an animal activist’s cri de coeur, James’s literary M.O.is muted and ambiguous. The sides to this poaching business appear to be as multifarious as they are nuanced, and James intends to give them all their day in court. Including the elephants. Emma, alas, soon succumbs to the animal magnetism of Dr. Varma, who possesses “the jawline of a film star, or at least a prime-time anchorman.” Emma’s reckless flirtation complicates her professional role as soon as she and Teddy begin to poke at the deeper story roiling beneath their Nature Channel-y agenda: political tensions that put the dashing doctor in the crosshairs between corrupt park officials and a local community burdened by new preservation laws. The hopes and struggles of that community are given engaging voice in the person of Manu, the younger son of a ne’er-do-well farmer whose capacity for alcohol is matched by “an unholy weakness for betting on cards, dogs, local elections, anywhere he might turn a note into two.” Manu idolizes his older brother Jayan, a natural hunter and student of the forest who misapplies his know-how by killing elephants in service of a wealthy ivory trader. Jayan is locked up for his deeds. Though he emerges from incarceration a reformed man, Jayan is barely out of prison when a relative drums him into one last kill: hunting down the notorious Gravedigger. Manu’s percolating first-person narration contrasts markedly with the somnolent third-person style the author has devised to animate the perspective of this tragic elephant, so named for the human toll he has exacted and the manner in which he buries his victims. In blinking bursts of prose, James tells the Gravedigger’s story beginning in his youth, when he witnesses his mother shot by hunters and brutally denuded of her tusks. Tranquilized by the lullaby gravitas of these chapters, I was gratefully roused by Dr. Varma’s eleventh-hour plaint to Emma: “You people [. . .]. Always hunting for a story so others can watch and feel outrage.” One reads this book wishing it could churn up that outrage. “The Tusk That Did the Damage” is an artful, restrained novel that errs on the side of art and reticence.